Solar costs a lot of money. Solar panels, inverters, racking and all the work, that goes into getting that energy-producing solar system on your roof, costs a lot of money. People wonder*: “It costs so much to go solar so it doesn’t make sense for me.” The response to that is: Yes, solar technology costs money but PowerLutions Solar works to ensure that our customers can take full advantage of all the incentives to lower the expense. Just as important is our many financial structures to help you go solar. The financial incentives, from the State to Federal level, bring down the costs considerably. In some places the solar financial incentives can cover up to 78% of the system cost! That means a system that costs $25,000 can end up costing the customer only $5,500. With the money you save from the solar electricity produced you are raking in the savings very quickly. 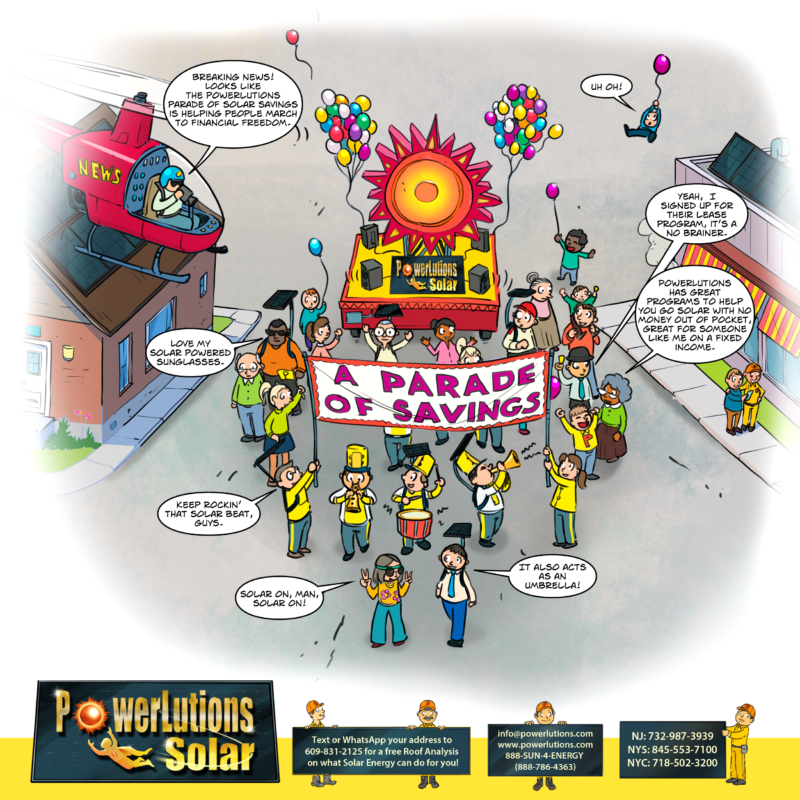 In addition to all the incentives, PowerLutions Solar offers many ways you can have a solar system installed with no money out of pocket. We have multiple financial partners who offer 100% financing and you still save money Month One! Yes, that means you pay nothing, we install the PV solar system and you save money off of your electric bill with a net savings right away. The other popular $0 down methods for going solar are PPA and Lease options. PPA, or Power Purchase Agreement, is an agreement where PowerLutions installs the solar system and is paid by a third-party who owns the system. The homeowner then pays a very low rate for the electricity produced by the solar system. This allows for immediate and continual savings over time. A solar lease is similar but it is structured as fixed monthly payments, based on the low electric rate. Contact us to find out more on what we can do for you. *Not just straw people; actual people. Quote is probably paraphrasing, although it’s possible someone used that actual sentence.